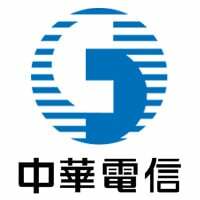 Subscribers to Chunghwa Telecom with accounts at any of four Taiwanese banks will be able to download a virtual version of their credit card to their SIM card and use it to make NFC payments from 16 October, the carrier has announced. Customers will also be able to download an EasyCard transit card to their NFC phone and use it to pay for public transportation. Chunghwa is working with MasterCard, Chinatrust Commercial, Cathay United Bank, E.Sun and Taishin banks as well as EasyCard and Gemalto to deliver its new Easy Hami digital wallet. The service is available at launch to customers with an HTC Butterfly 2, HTC One M8, Sony Xperia T2 Ultra or Sony Xperia Z2 NFC phone.